Catalan fire and Spanish flair combine to delightful effect in the famous city of Barcelona. One of the busiest cruise ports in the world (the 7th busiest according to 2017 figures) and a staple of any Mediterranean cruise, Barcelona has the power to enchant, whether it’s your first or seventh visit. A heavyweight cultural and commercial destination, there is plenty to see and do whether your interests lie in culture, shopping or food. Barcelona offers all three with aplomb. There’s a frequent bus shuttle that leaves from the port and drops you off at the Christopher Columbus Monument in the city centre for €4 return. Alternatively, you can take a taxi from the port into the centre for roughly €10-15 – both journeys take approximately 10-15 minutes. Depending on the dock you are ported in you could potentially walk into the city centre – but expect a good 20-minute walk at best. Sagrada Familia: No visit to Barcelona is complete without a visit to Antoni Gaudi’s unfinished masterpiece, the Sagrada Familia. A sprawling mess of gothic spires and arches – resembling something out of a Tolkien fantasy novel rather than a church – it is impossible to stand underneath its grand scale and not be impressed. 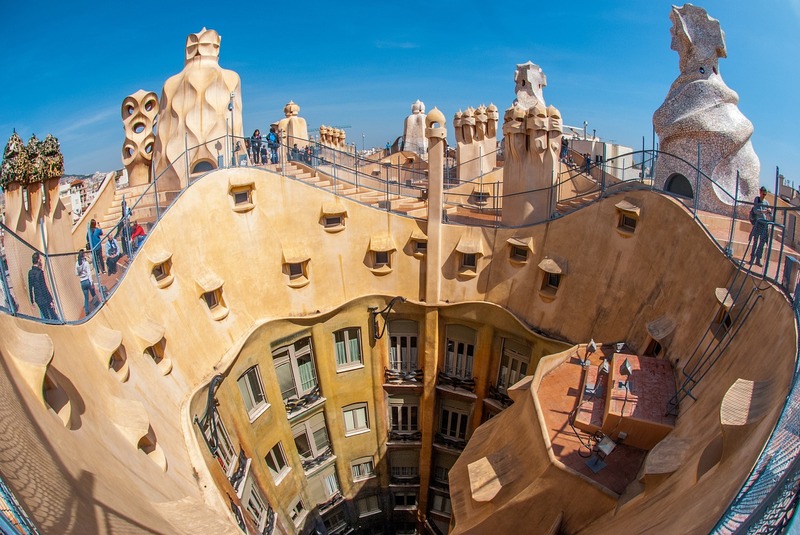 Incredibly, a mere 144 years after construction was first started in 1882, the Sagrada Familia is scheduled to be finished in 2026 – coinciding with the 100-year anniversary of Gaudi’s death. Nou Camp: One for the football fans only, perhaps. But there’s no denying that when it comes to the beautiful game, it doesn’t get much more beautiful than Barcelona FC. From the modern maestro Messi to the golden generation spearheaded by Johann Cruyff, this is an opportunity to get up-close-and-personal with generations of footballing royalty. Take a tour around the ground, see their five European Cups and shout orders from the home team bench. An experience the football fanatic won’t soon forget. Park Güell: Want more Gaudi? The famous Park Güell in the north of the city is an absolute must. A playground for the famous Spanish architect, this is what happens when you ask an eccentric genius to landscape your garden. Make your way uphill past fairytale houses – and that iconic mosaic dragon – and you’ll be treated to a panoramic view of the city as good as you’ll find anywhere else. Bar Cañete:This traditional tapas restaurant is situated just to the north of the main cruise terminal and has been serving delicious small plate specialities for decades now. Can Culleretes: Situated in its plum spot on the famous La Rambla street since 1786, eating at the oldest restaurant in Barcelona (and the second oldest in Spain), is an opportunity to dine alongside history. La Barra de Carles Abellan: Barcelona is a foodie’s dream with so many of the world’s top restaurants here – and few come finer than this effort from hometown chef Carles Abellán. Las Ramblas: It might be a little touristy, but you can’t visit Barcelona and not take a stroll down Las Ramblas. A street where little tourist shops combine with big attractions. La Boqueria: The most popular market in Barcelona is an explosion of colour and smells similar to that of an Arabian souk. Perfect for an afternoon stroll. Diagonal Mar: Every city needs a good shopping mall and Barcelona is no exception. Modern, clean and packed to the gills with stores, Diagonal Mar is a shopaholics dream. Keep an eye on your personal belongings. Barcelona is well-known for its pickpockets so make sure to take only what you need with you.